At lunch tables, in the classroom, or on the walk to the subway, Beacon seniors often find the conversation dominated by college talk. The topic is almost inescapable. Students unite under a common plight as they endure the heavy burden of encroaching deadlines and the myriad of supplemental essays. Most schools boast intensified applications and lower acceptance rates by the year, amplifying the hypercompetitive nature of the process, and making it difficult to avoid the urge to share standardized tests results or college lists. This “stress culture” is compounded by the general diligence of Beacon’s student body, as well as the rigor of the environment, where the average SAT score is nearly 200 points higher than the national median. 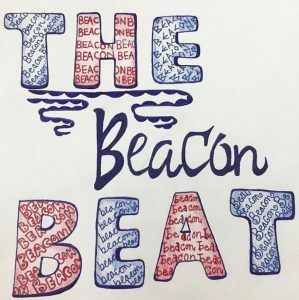 Industrious senior Narek Ghazaryan acknowledged that Beacon’s college counselors are beyond helpful in reducing admissions-induced anxiety, though their guidance is often offset by the overbearing frequency of conversations, in and out of the college office, on higher education. “It gets to the point where even mentioning anything college related induces stress,” he put it. As the workload gets more intense—for college applications and for classes—it’s easy to get overwhelmed. It’s no surprise that Beacon students are concerned about their future, and it’s even less of a surprise that they’re eager to talk about it. It’s difficult to straddle the line between seeking comfort and sympathy and making others feel insecure about their own abilities, especially when surrounded by highly competitive students. Seniors should strive to be more aware and more open when it comes to college-related stress, and to find an appropriate outlet for expressing their frustration.